Voice Your Choice is a £40,000 Participatory Budgeting Programme, offering small grants of up to £2,000 for ideas that support positive steps towards employment. Stage one of the process involves organisations submitting a project proposal, those that meet the criteria will move on to stage two, where the community will decide how public resources are allocated by attending a voting event in their locality. The launch event aims to provide information to community organisations on the process of submitting a project proposal to the Voice Your Choice fund. 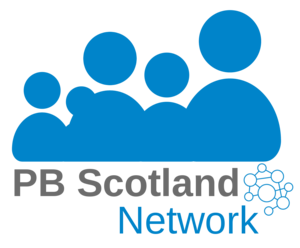 You can register for an application pack, receive guidance on the employability theme of the fund, find out more about Participatory Budgeting (PB) & what’s involved in the funding process, share ideas and hear about past project successes that have come from other PB grants in Edinburgh. Please note there are a limited number of spaces available for the launch event so please do get in contact as soon as possible if you are able to attend. Please fill in the RSVP form attached and send it to stacey.cuthbertson@capitalcitypartnership.org to confirm your attendance at the launch.